Registering for a Fracture account is simple! 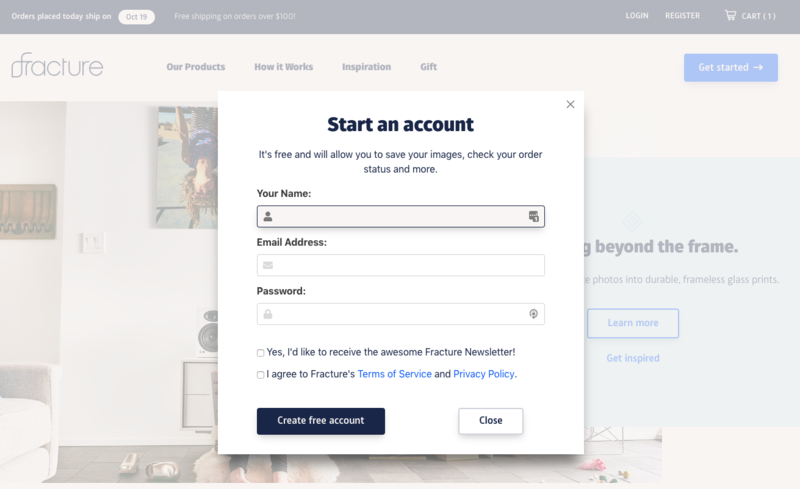 At the top right of our Fracture homepage, you’ll find a Register button. From a mobile device, click the upper right menu symbol to select 'register' from the menu. After clicking ‘register,’ a pop-up window will appear. Enter your name, email address, and create a password. 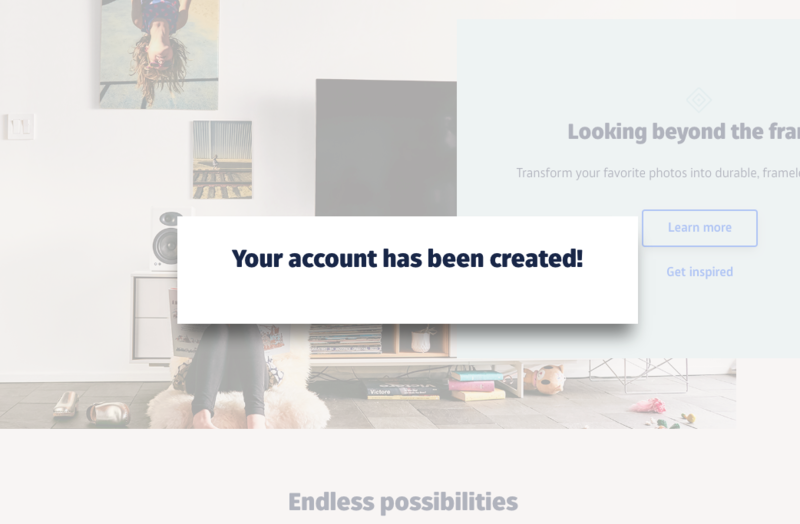 Once you’ve entered in all of your information, press the Create free account button. You’ll receive a confirmation of your account creation. 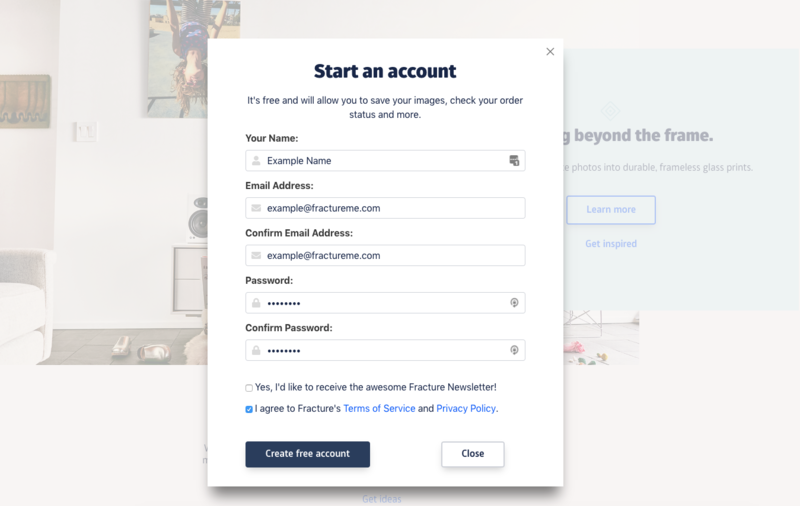 To access your new Fracture account, you’ll want to click the account menu in the top right corner to view your account information. b. 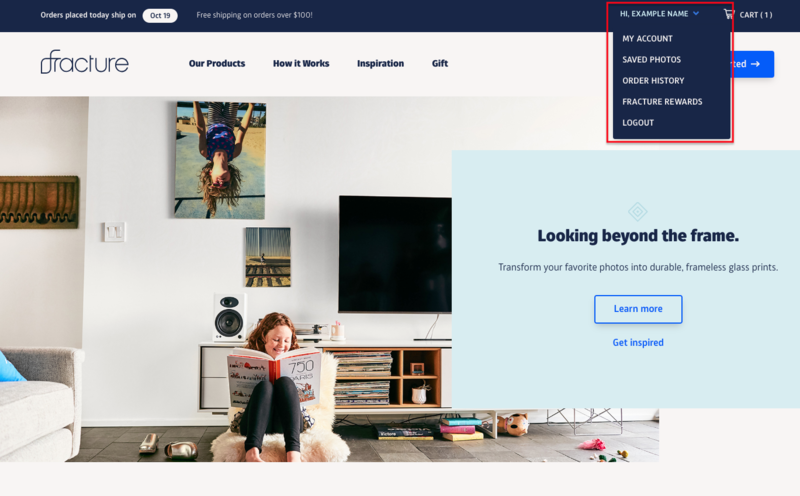 Order History - View your current and past orders. c. Reorder - All of the stunning photos you’ve ever had Fractured. d. Change Account Information - Update basic info, change password, manage subscriptions, or delete your account. e. Get Free Prints - You can earn FREE prints through our rewards program. Find out more here! How can I check the current status of my order? 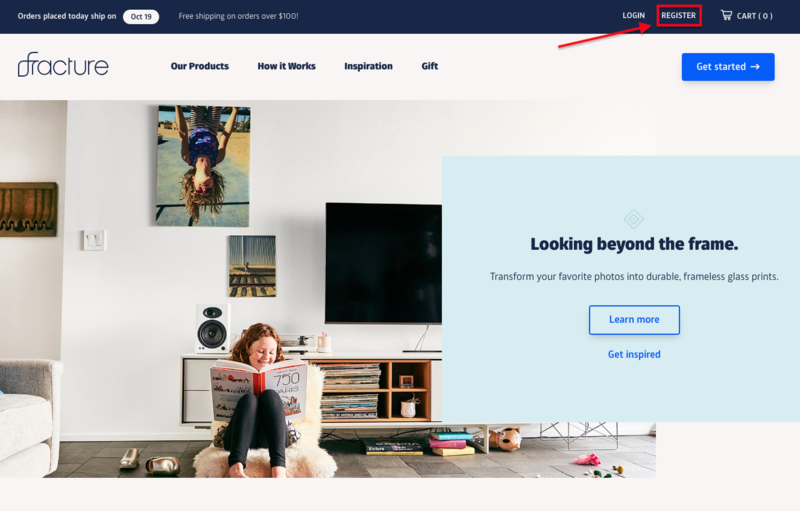 How can I get FREE prints?